As Canada’s former Minister of Foreign Affairs, Minister of National Defence, and Minister of Justice, The Hon. Peter MacKay has been at the forefront of some the most vital decisions affecting Canada—and the world—over the past 20 years. Today, he draws upon his extensive political and legal acumen to talk business, security, trade, and foreign policy with an international outlook and rare expertise. The Hon. 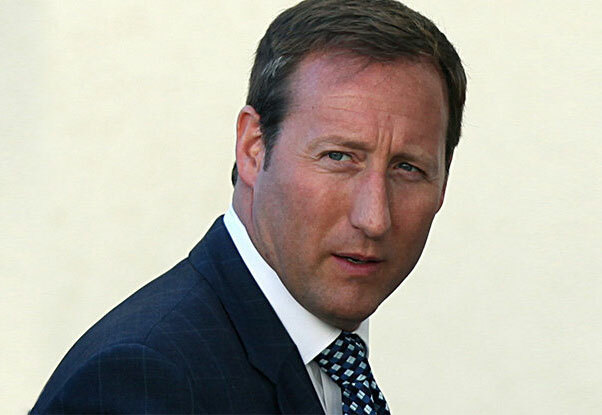 Peter MacKay served as the federal government’s Minister of Justice and Attorney General (2013–2015), Minister of National Defence (2007–2013), and Minister of Foreign Affairs (2006–2007). He also served as Minister of the Atlantic Canada Opportunities Agency (ACOA) and Minister responsible for Nova Scotia and Prince Edward Island and Newfoundland/Labrador. In his first term of office in 1997, he was Justice Critic and House Leader for the Progressive Conservative Party, for which he served as critic for law enforcement issues, as a member of the Board of Internal Economy, the Standing Committee on Justice and Human Rights, the Standing Committee on Canadian Heritage, the Standing Committee on Finance, and the Sub-Committee on the Study of Sport in Canada. He won the leadership of the Progressive Conservative Party of Canada in 2002 and worked with Stephen Harper’s Canadian Alliance and thousands of members to re-unify the Conservative movement in Canada, forming the Conservative Party of Canada in 2003, for which he was its first deputy leader. MacKay has a BA from Acadia University and studied law at Dalhousie University, and was called to the bar in 1991. He has served as a Crown prosecutor and worked in private practice. Today, after his retirement from federal politics in 2015, he works as a partner for the global law firm Baker & McKenzie in Toronto, litigating in the firm’s growing government enforcement and compliance practice, and offering strategic advice to companies involved in international business and trade. He is the founder of the Halifax International Security Forum and past chancellor of Royal Military College in Kingston. He has served on numerous volunteer boards, including New Leaf and Tearmann House, and the adopt a library literacy program. He has been active in his support for Big Brothers Big Sisters and the special Olympics. He is married to human rights activist, author, and artist Nazanin Afshin-Jam, with whom he has two children, and resides in Toronto, ON and New Glasgow, NS. For expert insights into a diverse array of issues—from defense to trade, foreign policy to human rights—there are few speakers with more authority than the Hon. Peter MacKay. While serving as an MP in Canada’s Parliament for 20 years, holding some of the country’s most prestigious appointments, MacKay shaped economic and legal policy, traveled the globe, and was responsible for world-changing decisions. Now, as a keynote speaker, he speaks to issues of domestic and cross-border security—encompassing human, financial, environmental, democratic, and other dimensions—based on his time as Minister of National Defence. He talks on world affairs, energy, trade, and foreign policy from his experience as Minister of Foreign Affairs. And he speaks to issues of human rights and criminal justice from his recent work as Minister of Justice. For an international outlook, and for a comprehensive understanding of Canada—our rich history, and our boundless potential—the Hon. Peter MacKay is a versatile, adaptable speaker. He’s able to contextualize the latest headlines, fit them within a broader, global framework, and narrow in on what’s most vital for your organization.